Welcome to McCollum Kitchens. We provide a complete range of fitted kitchens, bedrooms and wardrobes, including sliding wardrobes. You can find detailed information about our services online or contact our customer service for help. We can supply curved doors of any shape. 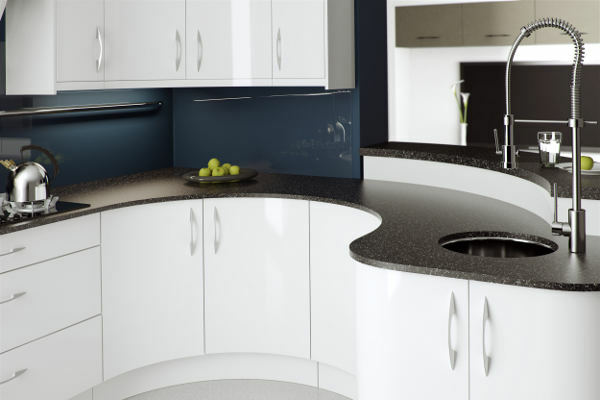 For example, this kitchen makes great use of the available space by using curves everywhere! For those who can't decide on which handle to choose, our handless ranges make this choice easy! 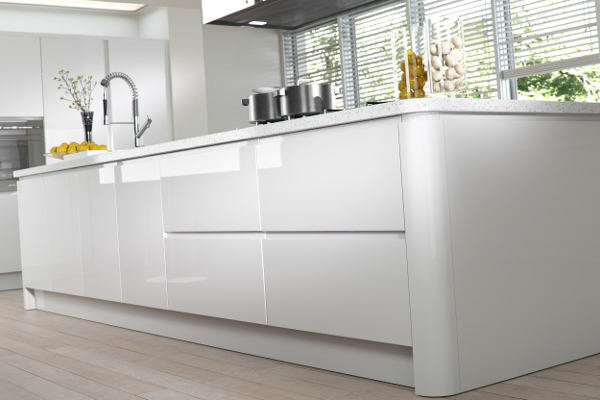 The craftsmen at McCollum Kitchens are all fully-trained, and are highly skilled and experienced. They have an detailed knowledge of the materials available and will apply every last detail of your kitchen. Quality starts with the materials we use, from solid pieces of timber, granite worktops, solid brass or aluminium handles and hinges. Every installation has its own unique set of challenges, but with good planning, every challenge can be overcome. We strive to make every fit perfection to the last detail.